Rukmini Maria Callimachi (born 25 June 1973) is a Romanian-American journalist who currently works for The New York Times. After publishing some poetry, Callimachi became a freelancer in New Delhi, India, including for Time magazine. In 2003, she joined the Associated Press in Portland, Oregon. After a year in New Orleans documenting the aftermath of Hurricane Katrina, in 2006 she began reporting out of Dakar, Senegal, as a West African correspondent for The Associated Press. 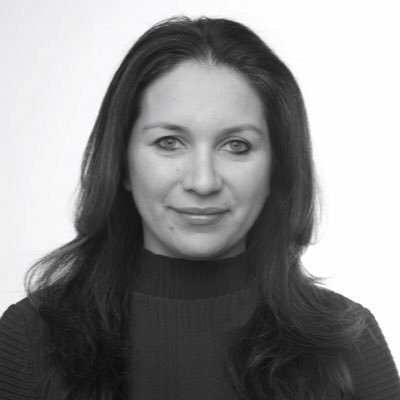 In 2014, Callimachi was hired by The New York Times. Her reporting has focused on Islamic extremism. The serialized audio documentary Caliphate, first released in April 2018, follows Callimachi as she reports on the Islamic State.